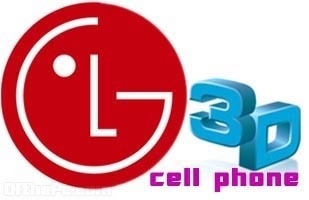 Among the craze over concept 3D, LG 3D Cell phone raises high the 3D luxuriate, a remarkable one as the cell phone is the only gadget that has the outmost user, probably used by all, LG grooving it in cell phones with its newly announced glasses-free 3D displays for mobile devices. You can touch 3D now where ever you are. Samsung made it already, announcing its 3D display mobile phone, monopoly? And so here comes 3D LG concept mobile phone, designed Petr Kubik, 3D 4.3-inch touch screen display with a resolution of 480 x 800 pixels. The company guarantees exceptionally “bright and flicker-free images” along with wider viewing angles than in previous parallax displays. The display uses applied parallax barrier technology to create an illusion of depth. The effect is due to series of “light-blocking slits (or barriers) attached to the front of the LCD panel”, 3D movies and even 3 dimensional video calling is supported on the device. Announcement first specified included Glasses and then later Free Glasses.., demand is the Free glasses to view the 3D Images in the cell phone, being the prominent features, What ever the rest is next, it is.